The Bateleur (Terathopius ecaudatus) is one of Africa’s most majestic birds of prey. This wine was named after an eagle that is rare in both its beauty and occurrence as a tribute to the power and grace of a creature synonymous with our great continent. Gravel soils originating from mountain rock rich in limestone and clay with a high pH allow this single vineyard Chardonnay to portray a spectrum of flavours framed in elegance and complexity, typical features of a classic Chardonnay. 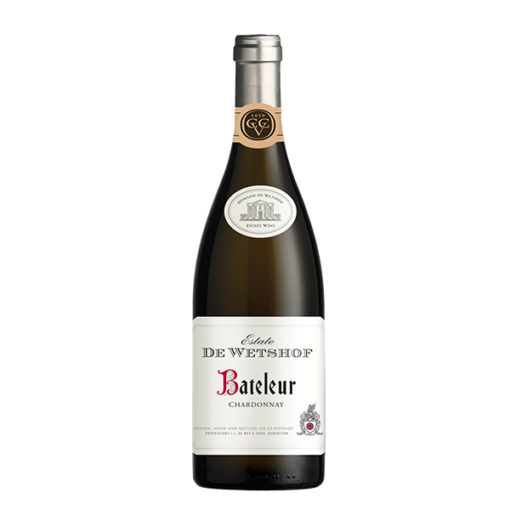 Citrus and pear-drop notes are complemented by an intriguing nuttiness, with elegant citrus on the finish. The Bateleur improves in dimension and complexity with age and under the correct storage conditions it can mature in the bottle for many years. Unique mineral flavours and fine lemony complexity. An elegant wine, matured in small French oak barrels for 12 months. This premier vineyard, one of the oldest Chardonnay vineyards in South Africa, was planted in July 1987 from a very special selection of plant material which had been imported from Burgundy some years before. The size of the vineyard is 3,51Ha on which 13,668 vines are planted. Fruity aromas bursting with guava an the pallet. Fresh minerality with earthy under tones. Sharp and crisp on the finish. Yellow green in colour. Complex green grassy nose with passion fruit, guava and pear aromas. Nose: Citrus, pineapples and hints of butterscotch. Pallet: Rich and round with a lingering taste. Balanced with sweetness and a fresh taste. This Chardonnay Matured in neutral vessels for 12 months. Miss Lucy is unique blend of Sauvignon Blanc, Semillon and Pinot Gris bursts with citrus pamplemousse flavours and an ample mouth feel, yet remarkably moderate in alcohol.